Tomorrow I hop on a plane to attend the Bead and Button Show. This is my fourth time visiting the show but the first time I'm taking a class. I have a three-hour tips-and-tricks lampworking class which I'm really looking forward to. It's small (only six people) and it's geared towards people who aren't complete beginners but those that aren't ready to jump into a higher-level class. I hope I can learn some tricks about encasing and stringer control. My poor beads are so wonkalicious right now. I have a lot on my plate this time -- lunch with my editor on Thursday, small dinner with blog and Facebook friends on Friday night, hosting a dinner for 29 on Saturday, and then a breakfast get-together on Sunday before I catch my plane. I'm going to miss having my shopping partner from last year -- I've never gone to this show without a shopping partner and I hope I don't drive myself crazy from talking to myself as I walk up and down the aisles! 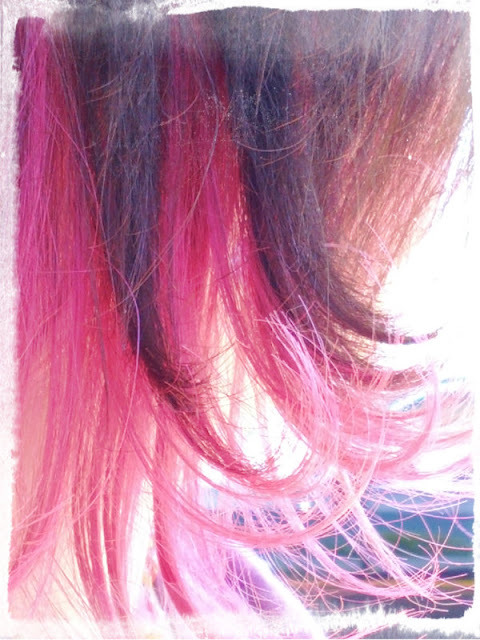 So if you see someone with pink in her hair muttering to herself, that's probably me! The dinner on Saturday has been fun to plan (and big thanks to Lisa Peters Russ for running the gauntlet with the hotel banquet manager!!!). I spent the biggest part of last night making up party favors and putting together the giveaway scratch-off cards. More details on those when I get back, but there's a cute gimmick to how people find out if they win something or not! I wrote a blog post to publish while I'm gone, and I'll have a complete run-down with pictures (and goodies to give away!) next week! Lori Anderson creates jewelry for her web site, Lori Anderson Designs, and wrote the blog An Artist's Year Off. She is the creator of the Bead Soup Blog Party tm. Join me at the Facebook group Bead Soup Cafe for bead chat, swaps, challenges, and lots of eye candy! I would love to have been your shopping buddy this year. I look forward to the day when I can join in on the fun. 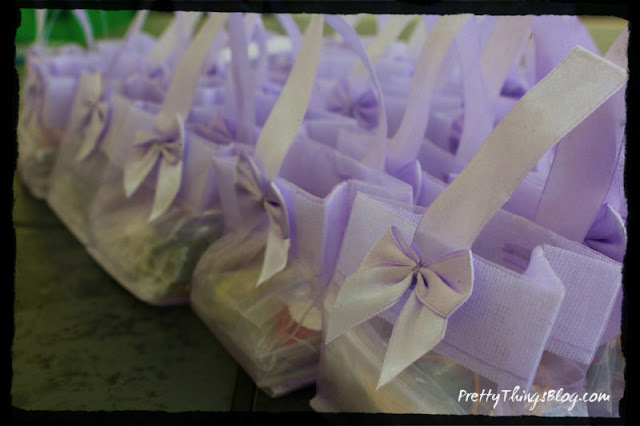 The bags are beautiful. You treat your friends so well. Your such a sweet person. And I truly value our friendship. I want to thank you for our chat today. It helped me out emotionally. Have a wonderful time shopping and interacting with new and old friends. I will be looking forward seeing what you bring back. OMG! I'd like to be there with all the beaders but there's a problem...I'm in Italy...just a little far away from you! Have a funny great bead time also for me!!!!!!! I hope you have an awesome time at Bead and Button! Sounds like you will! Wish I were going -especially to meet everyone. Safe travels friend! Have a great time Lori! I can't wait to hear all about it. I am living vicariously through all my wonderful beading friends who do get to attend B&B. So please take lots of pictures and share, share, share. Enjoy. Too bad your schedule is so packed! I would have loved to have met you-I'm actually somewhat close the the B&B show (Rockford IL). Oh Lori, have fun! I can't wait to hear about your adventures at Bead and Button! I'm green with envy, not only that you get to go to Bead & Button, but also because you get to meet up with so many beady friends. I know you'll have a blast, and I can't wait to see the loot you bring back. Enjoy!!!! Have a great time! Looking forward to seeing all your photos from your trip. Have fun and safe trip, Lori!! One of these days, I hope to make that trip. Enjoy!! Have a great time, Lori! Wish I were coming along with you! Can't wait to hear all about it! Have fun! Sure wish I could have joined you would have been great!! I hope you have a great time! Be safe and enjoy yourself. Have a fabulous time! I look forward to hearing all about it when you come back. And I'd love to see what's in those bags! Lucky recipients. I'm sure there's no need to wish you a fun and wonderful time, as what beader wouldn't be in heaven at the Bead and Button show ? I'm Jealous!! Have a great time Lori! So jealous, girlie! Every time I turn around, you are on your way to another bead show!!!! Lucky Girl!!! Anyway, I can't wait to hear more about it ALL! I appreciate comments! Thank you for contributing to the conversation. Bead Hoarders Blog Hop -- sign ups are open! Welcome to the 8th Bead Soup Blog Party! Share book reviews and ratings with Lori, and even join a book club on Goodreads. Cup of Bead Soup Mini Blog-Hop with Lea Avroch! Have you had enough of Zack yet? Fun with Zack -- and fruit.